Senior Development Manager of Snap Originals, Snap Inc.
Erin Keating leads development and production of scripted Snap Originals, original shows created exclusively for Snapchat. She is responsible for helping to shape the creative strategy and execution of made-for-mobile shows for Snapchat’s more than 180 million daily active users. 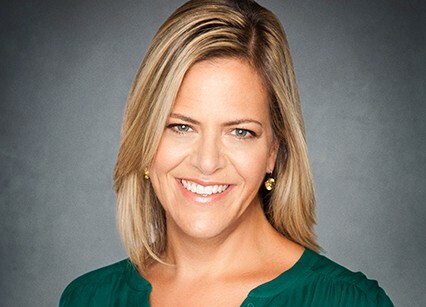 In less than two years, Erin has helped grow Snapchat’s slate of exclusive shows to over 70 series, including CBS’ James Corden’s Next James Corden, which garnered two Emmy Awards in 2018, and Makeready’s drama Class of Lies, which received a 2019 WGA nomination for best short form new media original. Erin joined Snap Inc., the parent company of Snapchat, in 2017 from Big Beach TV, where she was the West Coast Executive and produced a slate of comedy, documentary and drama series, originating the half-hour dramedy Vida (Starz). Prior, she served as Director of Development and Production at IFC TV. In this role, she developed and oversaw the network’s brand-defining comedy series, including the Emmy-nominated, WGA and Peabody Award-winning Portlandia and Funny or Die’s The Spoils of Babylon. Erin has also been Director of Programming and Development at Magna Global Entertainment, where she oversaw the award-winning Johnson & Johnson Spotlight films on TNT.